Spain is a traveller's delight and is one of those countries where work and pleasure find the perfect semblance. When you get to see more eateries and bars around you than offices and commercial complexes, you know you've arrived in just the right country for a holiday. Enjoying a plateful of paella along with a glass or more of sangria, what's not to love about Spain? One of those countries where work and pleasure find the perfect semblance, Spain is a traveller's delight. There's everything historical and scenic, great weather pretty much throughout the year and generous doses of food and wine alongside. In the words of one of my tour guides, "Eating out and socialising are a major part of Spanish culture" Every evening, religiously, Spanish men and women come out to eat, drink and make merry. The energy is robust and the mood upbeat. In Spain, the party never ends indeed. I say, cheers to that; or Salud, as the Spaniards like to put it. To label Spain as a country that loves its food and wine would be stating the obvious. But to limit it to just that, as I learned over the course of my trip to the country, wouldn't be fair either. While Woody Allen would think otherwise, Barcelona isn't the only place worth visiting. There's a lot more to Spain, both famous and not-so-famous that deserves a visit. All you need is a train ticket to some of the most spectacular cities you'll come across and a great view of the Spanish countryside that you get to see all along the way. Finding the perfect balance between big-city madness and small-town serenity, Seville is ideal for those looking to get a true-blue Spanish experience. 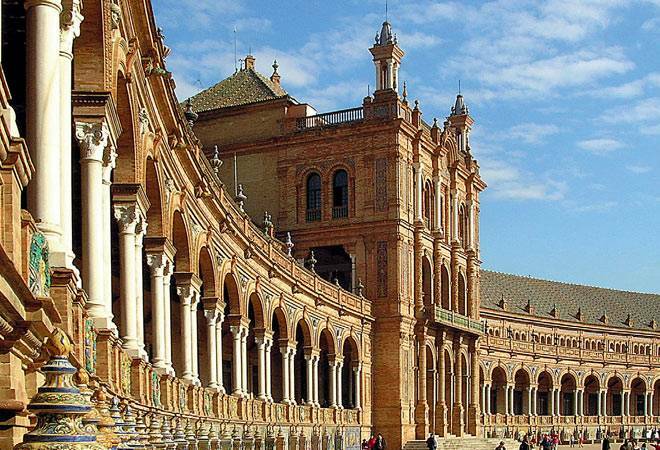 From restaurants to a beach not-too-far away, architectural greatness to Flamenco no less, Seville's got everything to get you hooked. It even lets you do a little gondola ride, yes. This museum has everything you need to know about this high-octane dance form. The best part is that there are classes and workshops, not to forget performances, for locals and tourists alike where you too can get your dancing shoes on. Tapas is a major part of Spanish cuisine and the skyscraper tapas here, with aubergine, goat's cheese and smoked salmon is not to be missed. A small Spanish town that looks like it's painted in white thanks to most of the buildings in either white or off-white paint, Cordoba is as quaint as it's beautiful. The best way to experience the city is to rent a bike or walk, so as to get into all the nooks and crannies inside where lies some of the best things about the city including the Street of Flowers. Mosque-Cathedral of Cordoba This massive holy building merges influences of both Islam and Christianity having been both a mosque and church under different kingdoms in the past. 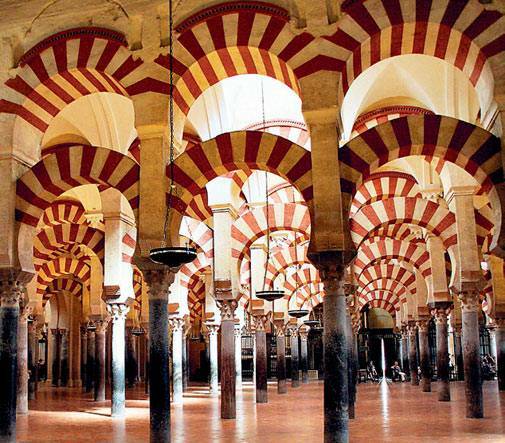 Today, its Cordoba most talked about historic site. For a small town, the restaurant has a pretty massive menu. From local Spanish food to a little fusion fare, it's all rather good. If you're a beef lover, don't miss the beef steak. 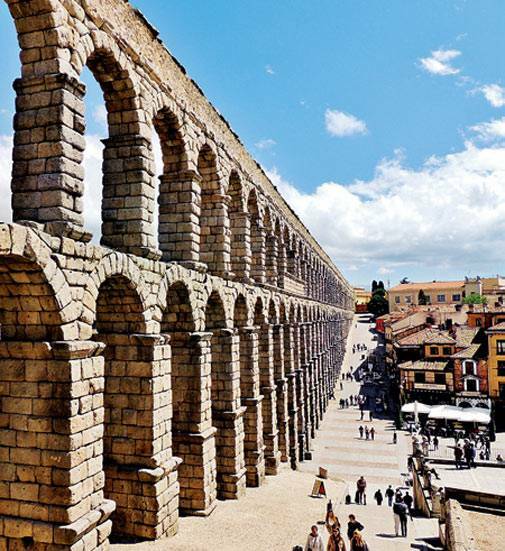 A small old city on the outskirts of Madrid (precisely 30 minutes by train), Segovia is a charming town that makes up in picturesque views for its small landscape. It's a UNESCO World Heritage City that's rich in Spanish history that relies completely on tourism for its economy. Also, you'll find some of the nicest people in the whole of Spain residing in the city, for sure. 894-m long, this aqueduct is the most recognizable stretch of the city, lending it a unique dimension. It's a beautiful structure that's held together without any use of mortar whatsoever and makes for an arresting sight in photographs and selfies alike. The best place in the city to try out local Spanish food, the restaurant is famous for its roast sucking pig. Best for a brunch with copious glasses of wine. The third largest city in Spain, Valencia is always buzzing with people who're either working or working out. Yes, it is the city for marathoners with some or the other marathon happening throughout the year. Another striking aspect about the city is the green ribbon-shaped park that runs through the centre of the city; it was a river in the past but due to heavy flooding, the river was diverted to the outskirts. A monumental delight that takes inspiration from the works of Gaudi, this is not just a great place to shop for souvenirs but has some of the most eclectic restaurants serving cuisines from all over the world. Open from 11am to 12:30am. The capital city of Spain, and also the third largest in Europe may not have inspired filmmakers yet, but it's got enough going for it to keep you hooked. From art and culture to fashion, food and nightlife, Madrid is where all the action is. Its cosmopolitan culture engulfs people from all over the world and from housing some of the most stunning museums and galleries-Madrid is home to Goya and Velazquez no less- to offering a delicious palette of restaurants and nightclubs, the city is as true to all things Spain as it can get. One of the world's most prestigious art galleries that houses more than 7,000 paintings including the works of Goya, Velazquez, and Jeronimos among others. A gourmet food hall, this building is divided into 3 floors- 2 that serve various international cuisines and a restaurant on the top floor by Michelin-star restaurateurs Paco Roncero, Pepe Solla and Marcos Moran. Don't miss the burlesque-styled live performances that happen every evening.